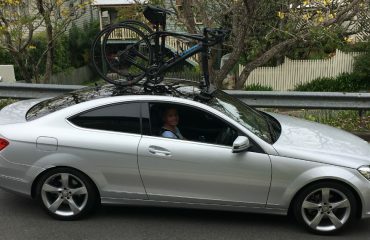 Jason is the co-owner of BikeBug Perth and one of our first resellers to come on board. 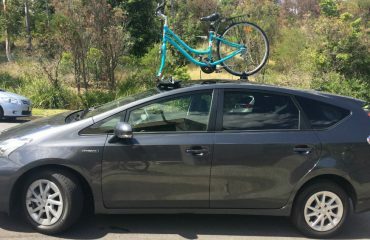 He contacted us last year looking for a bike rack for his wicked fat Ford Focus ST, he settled on the SeaSucker Bomber. He previously checked out the SeaSucker Bomber on the Ford Focus, Jason decided to try it for himself. The Seasucker Bomber yet again proves its versatility. It’s just as suited to hot hatches as it is on large SUV’s. Jason, Clive and the team developed a very strong understanding of SeaSucker Bike Racks. 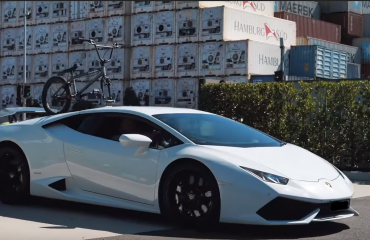 They have in stock all the popular models and after six months of testing our bikes racks on various cars, they know how to get the most out of SeaSucker Bike Racks. If you live in Perth and would like to take a close look at SeaSucker Bike Racks we strongly recommend calling BikeBug Perth and paying them a visit. They happily provide the same demonstrations we do for customers in Melbourne.